Born in the Slovenian city of Koper, Matevž graduated from the University of Ljubljana with a Bachelor's degree in Media and Communication, and is currently completing his Master studies in Management at the same university. 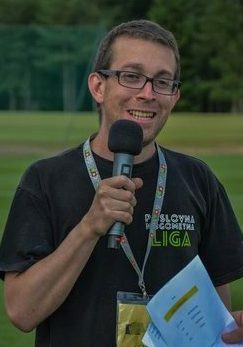 The EFBLU General Secretary is an experienced event manager, being the President of SportForum Slovenija - Association for sport promotion in Slovenia since 2005 and organizing the national corporate football league Poslovna nogometna liga in the cities of Koper, Maribor and Ljubljana since 2015. In the past, Matevž was also a Marketing and PR assistent at FC Koper, as well as a journalist and reporter for several Slovenian media. Apart from football, he is also interested in other sports like skiing, basketball, badminton and tennis. Music is the other big passion of Matevž, who enjoys attending musical events, discovering new groups and collecting vinyl records. Furthermore, he likes reading books and has an interest in social media.